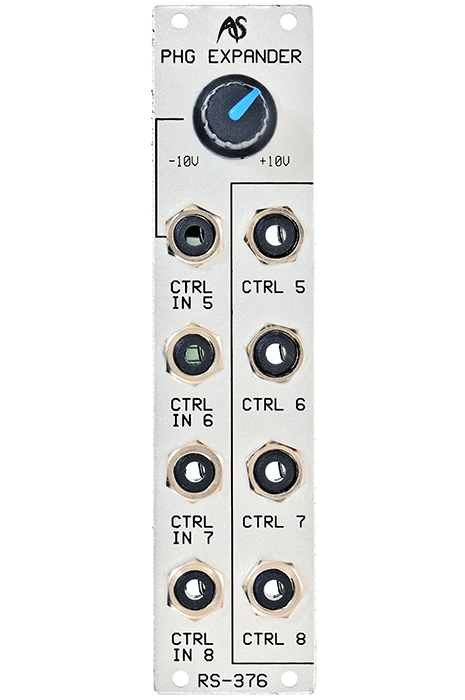 Useful expander for the RS-370 particularly for users who do not require the real-time additive synthesis capabilities of the RS-375 module but want to take advantage of 4 extra CV inputs and 4 controller outputs. 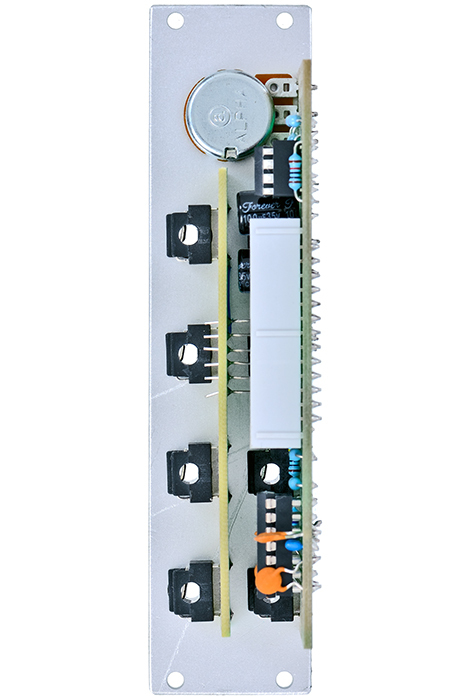 The RS-376 expands the Polyphonic Harmonic Generator by four CV inputs for controlling parameters of the RS-370. A potentiometer generating a voltage from -10V to 10V is normalized to the first CV input (Ctrl In 5) what enables you to control a RS-370´s parameter manually. 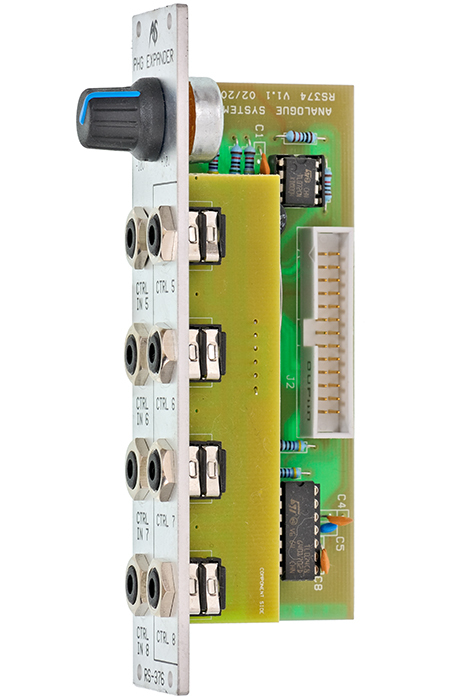 As the RS-370 can be used as a MIDI/CV interface, you can use the RS-376 to output four programmable MIDI controllers as control voltages. The expander module has to be connected to the RS-370 with a flat ribbon cable.